In 2014, India’s largest global flexible packaging company Uflex decided to offer shelf life extension solutions to the Indian Fresh Produce Industry. With the help of the foreign technology partner, Uflex came up with a solution. "The solution Equilibrium Modified Atmospheric Packaging (EMAP) entails maintaining consistent oxygen and carbon dioxide inside the bag during the shelf life of the produce", said Ashok Chaturvedi, chairman and managing director, Uflex Limited. "During the initial phase of trials, the technical team came up with the nuances of tropical produce and felt that the traditional polymers being used for shelf life extension of fresh produce may not work. Their sound logic was that most polymers available were either good barriers to oxygen or water and it is critical to have a unique polymer which could offer the precise requirements of both oxygen and water barriers. 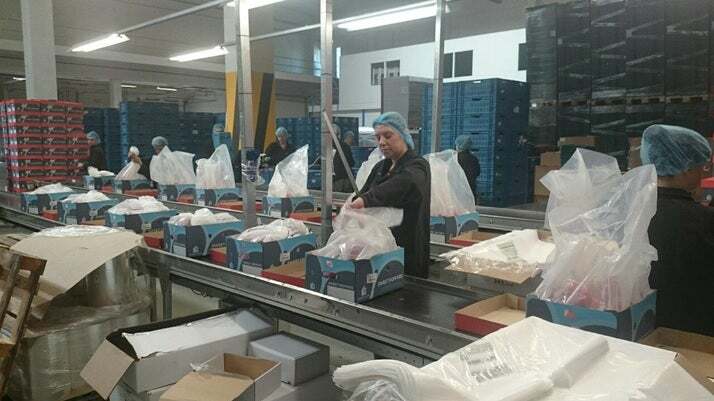 "In fact, all existing fresh produce packaging solutions in the world grappled with the problem of water condensation inside the bag, a fact that was established during our market study. Also for products that perspired heavily, it was found that the MAP did not work due to higher CO2 inside the bag changing the organoleptic of the produce" added Mr Ashok Chaturvedi. "This is critical for fresh produce packaging because the oxygen needs to be maintained to keep the product in aerobic conditions. During transpiration, humidity gets released and condenses inside the bag causing fungal and bacterial infections on the produce. "Thus was conceived Flexfresh™ with the Holy Grail of oxygen and water barrier for packaging fresh produce. Flexfresh™ while maintaining the humidity inside the bag at 98%, keeps the product absolutely dry without allowing condensation of the humidity. This results in very low weight loss of the produce as it continues to breathe in hydrated oxygen available inside the bag. In several experiments on various products, it was observed that the ratio of oxygen and carbon dioxide has always been maintained at equilibrium. The film provides good release characteristics of CO2 emitted by the produce. "This ensured that the produce in a few cases could be protected naturally from diseases such as Botrytis, Gray Mold etc. using high CO2 content. The icing on the cake is that while offering all the benefits, Flexfresh™ Film is biodegradable by composting. Thus Flexfresh™ complies with all international regulations for overall migration (EC 1935/2004), reach compliance (EC 1907/2006) and qualifies for biodegradation under DIN EN 13432 (2000-12)," says Ashok Chaturvedi. "Noida Packaging plant of Uflex has installed and commissioned two respiration meters at its Fresh Produce Research and Innovation Laboratory. A team of food technologists and packaging professionals are in the process of developing Flexfresh™ across packaging formats. Flexfresh™ is currently available as Liner Bags in 5kg and 10Kg standard international sizes, Flow Wraps, FFS Film and Lidding film," added Siva Shankaran, vice-president-Flexfresh™. Uflex is currently working on a retail pack film to offer it for FFS for both cut and whole products. A leading Dutch Bell Pepper exporter has commenced shipping its produce to USA by sea containers which was not possible earlier and used to be sent out by Air incurring huge costs. The exporter is happy with the arrival quality and intends to export over 100 containers from Holland to USA this year after conducting successful trials by sea container earlier last year. An Indian pomegranate grower has been supplying its produce to Europe. The moisture inside the pomegranate crown led to fungal growth and this was restricting them to expand their exports from India. Extensive trials were conducted during 2015 and in the current season, over 100 containers of pomegranate have already been exported to Europe to leading super markets with excellent quality upon arrival. Uflex is working with several leading super markets around the world for establishing the benefits of Flexfresh™ in potatoes, Brussel sprouts, papaya, grapes, berries, pomegranates, flowers, beans, broccoli, cauliflower, mango, okra, mushroom, cut vegetables and several other products. Uflex and its partner along with a leading Institute of Packaging will be conducting a series of trials to study the advantages and benefits of using Flexfresh™ for shelf life extension. The reports will help both the organisations to strategically work with big American farmers and exporters to extend the shelf-life of their products in the most safest and sustainable way.